Did you lose or misplace your old car keys? Or did they just break? When you need new car keys made, you have a couple of choices: you can contact your car dealer (or manufacturer) or you can get in touch with Pittsburgh Any Time Locksmith. Dealers are notorious for taking their own sweet time about sending you replacement keys, not to mention charging extravagant amounts for them. Our professionals, on the other hand, will make you new ones in a short span of time and at an affordable price. Standard: Standard versions are found on cars that were manufactured over two decades ago. These are cheap to make and we can craft them for you in a matter of minutes. Smart keys: These have a computer programmed chip embedded in the fob at the end. Also called as transponder keys – are difficult to make, not to mention expensive. 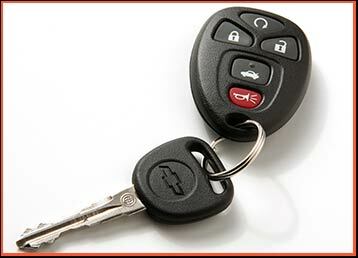 Keys with remote fob: We can also make new car keys – both regular and smart – that have a remote attached at the end. Why are smart or transponder keys expensive? They require special computerized machinery to make, which is expensive and usually only available with the car dealer and manufacturer. Every car key also has to be carefully programmed to work with your car’s engine control unit (ECU). If the key contains the wrong code, then your vehicle won’t start. Getting a new car key from us is much cheaper from us as compared to your dealer. Apart from making you new car keys , we can also reprogram your old ones. What does reprogramming involve? If your old key was damaged in some way, or if the plastic fob fell off, we can install a new plastic fob on it and reprogram it to work with your vehicle. We can also get a faulty remote to work with your car. Our locksmiths are available to provide assistance, anywhere in Pittsburgh, PA area, 24 hours a day and 7 days a week, including the middle of the night. We don’t charge extra if your need is urgent, so don’t think twice about calling us on 412-226-6529 !